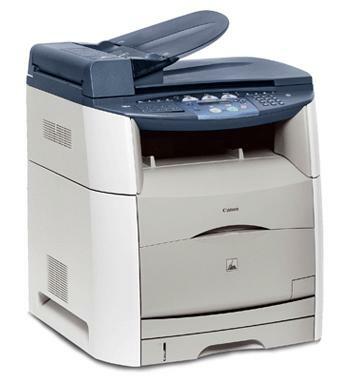 Can you quote me on a new drum unit for the Canon i-SENSYS MF8180C printer? Thanks to our low price guarantee you will not be to resist buying a replacement Canon MF-8180C toners. We pride ourselves on giving you Canon iSENSYS toner which you'll find super-cheap to buy. Do you still have doubts about Cartridge Save? Cartridge Save would like to help save you time and cash by providing you with free delivery for Canon MF-8180C toner. And in case you needed some more reason to purchase Canon i-SENSYS MF8180C toner from us then you must take into account our cash back guarantee. We are happy to offer a total reimbursement in the very unexpected situation that this iSENSYS MF8180C toner will not function as expected, so why settle for anything less? A complete all-in-one solution for all printing, copying, scanning, and fax needs, the Canon i-SENSYS MF-8180C is a compact laser multifunctional device. The i-SENSYS MF8180C multifunctional laser printer offers versatility and quality, allowing users to print both in colour and black and white with minimum costs. The MF-8180C all-in-one has a built-in network interface, which makes device sharing easier, and individual toner cartridges can easily be replaced. The Canon i-SENSYS MF-8180C printer however, prints colour slower at only 4 ppm. Paper capacity is rather low compared to other workgroup printers. The Canon i-SENSYS MF 8180C requires little space to operate, measuring only 20.1x20.2x25.2 inches. It may take more than one person to move around, as it weighs more or less 80 pounds due to its extra features like the automatic document feeder and larger print engine, which is needed to accommodate the colour printing function. The Canon i-SENSYS MF8180C laser printer features its own LCD display, which is an integral part of the control panel. Paper capacity is rather small, at only 250 pages, though a multipurpose tray is included, capable of holding up to 125 sheets. Some of the smart features of the Canon i-SENSYS MF-8180C colour printer include the 50-page ADF, easy to replace cartridges, built-in Ethernet and high speed USB interface, and the digital scanner and copier, which can produce images up to 1200x2400 dpi in resolution or 9600x9600 when digitally enhanced. The fax function on the Canon MF8180C printer model allows fast transmission, averaging 3 seconds per page. In addition to small paper capacity, the Canon i-SENSYS MF-8180C colour laser printer disappoints when it comes to print speeds, averaging only 19 ppm in black and white, and 4 ppm in colour.